Features ● High class, durable stainless steel material 201. ● Square tube frame 25x25mm. ● Rails in M shape suitable for GN pan in GN 1/1 or GN2/1. ● The both side latch ensure that bakery pans will not fall during transporting. ● Comes with four PVC castor, mute, safety and practical. ● Assembly structure, easy to fix and transport. ● Available in two layers, three layers. 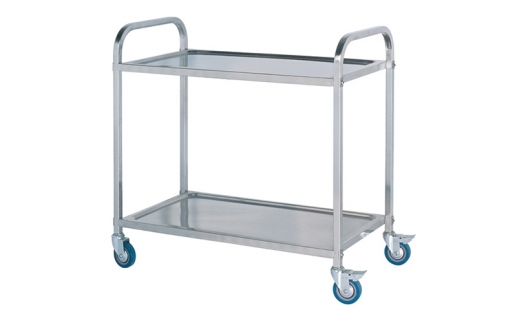 This range of dining car is perfect for use in Buffets, Hotel Breakfast Areas, Brunches, Catering, Parties, Wedding Banquets and Self-Service Environments.